Who would have thought that a man from Aberdeen, Washington would be the guy to be the next big babyface? Even when he first debuted on the first version of NXT, there were a few cringeworthy moments such as the snap or tap line in the debut episode. When people were losing some faith, he showed how skilled he was in the main event that night pushing then World Heavyweight Champion Chris Jericho to the limit in a losing effort. Over the next few weeks, Bryan kept competing in losing efforts, but was the most impressive rookie by far, along with building an organic rival with his mentor in The Miz. Eventually NXT ended and the Nexus angle happened. The debut of the stable was excellent, but it wasn’t excellent for Bryan, who got fired for choking Justin Roberts out with his tie. You would think that he lost his golden ticket forever with this incident, right? It actually was a blessing for the company and Bryan himself, as Bryan became the hottest FA out in the indies for a little while before returning and the company would benefit by having a hot Bryan return for the failure known as the Nexus vs WWE feud (which I will get into in a different article at a different time). To the credit of WWE Creative, they actually got the feud right with The Miz and Daniel Bryan, as it played out well for both parties. After this, we would get the critically acclaimed Ziggler vs Bryan match at Bragging Rights which saved a rather mediocre PPV. It was a shame that a follow up of this match didn’t happen, as Bryan’s momentum stalled, doing nothing but dark matches for a while, eventually having his match on Wrestlemania 27 turn into a dark match, which then turned into a lumberjack match won by The Great Khali for some reason. DB then got drafted to Smackdown and while the same thing happened to him on Raw, things did change for him. He won the WHC MITB briefcase, showing that the company still had faith in him to be a future champion day. As a custom to some MITB winners, he would not win that many matches for the months that followed, or even be on PPV’s. It really was a shame that he wasn’t capitalized on during one of the better stretches in recent memory, as the summer of 2011 was hot between the Summer of Punk, the Orton/Christian feud, and the Hall of Pain. Speaking of the Hall of Pain, Bryan was an inductee into the Hall as he had lost to Henry in a match. He was also paired with AJ during that time, which was a solid pairing for the moment. 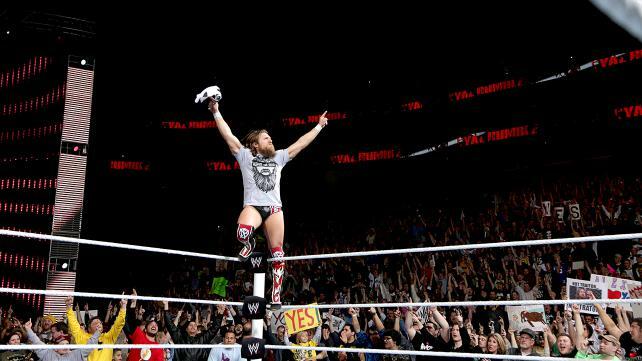 All of Bryan’s hard work paid off, as he eventually did win the WHC from Big Show at TLC. The title finally gave Bryan a fresh sense of direction and character work, as he became a heel and showed it well with the overconfidence and gave birth to the Yes chants. DB found ways to keep his title against Show and Henry, leading to him retaining at a Triple Threat at the Rumble and then Elimination Chamber the month after. The supposed rematch with Sheamus was fairly short as he lost the title in less than 20 seconds. Everything was crumbling around him, DB lost his title and his relationship by blaming AJ. After losing another match to Sheamus, DB shifted focus to the WWE Title held by the mega star CM Punk and had an excellent match. The feud itself was lackluster, but the match was perfect. 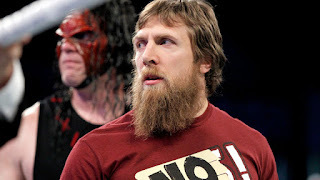 It was just so messy that the only reason that it would benefit Daniel Bryan was that it led to the formation of Team Hell No. The formation of Team Hell No was a match made in heaven. Kane works well in being a part of odd couple tag teams and DB was able to show an expanded range of acting. The skits with Dr. Shelby in anger management were very entertaining, as well as their infighting at times. The popularity of this team led to them retaining the titles for a while, beating Rhodes Scholars (who should have been so much more than what they were on the main roster) and Ziggler and Big E. The team would show the cracks whenever they did face any iteration of The Shield, as Bryan thought he was the “Weak link”, as they lost the titles to them. That said, one of the better moments in Smackdown history was when DB beat The Shield in a tag team match ending their streak. Team Hell No served its purpose to make the fans not tire of Kane and promote DB to a main event level which led to Summerslam. 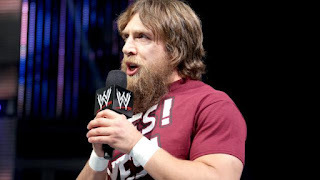 Cena picked Daniel Bryan as his opponent for that PPV, which made the fans ecstatic, but not so much Vince and company. They put him through hoops such as the gauntlet match he had with Swagger, Cesaro (which was a PPV quality match), and Ryback, along with facing Kane afterwards. The seeds were planted here for The Authority angle to take place. DB overcame all of the tasks that the higher powers had set out and he beat Cena clean at the PPV. This could have been a pinnacle moment for Bryan, but HHH and Orton turned, and DB lost the title that same night. Looking back at it, this decision made sense, to prolong Bryan’s chase so that when he does finally get there, it feels amazing. That plan worked to perfection, though one wonders if that was really the plan all along (it wasn't according to WWE insiders). For months, when Bryan was close to reaching the top, they’d find a way to not hand it to him. Whether it was a fast count or interference, they delayed gratification as long as they could. Following this, a feud with upstart Bray Wyatt took place, where Wyatt would have the edge in this each time he was involved. They had even converted Bryan into a Wyatt Family member. It seemed that all hope was gone until a cage match with him and Bray against the Usos. DB left the family and started to attack all the members and having the whole arena in unison chanting yes. The crowd hadn’t been that hot in years, but this man did it. The movement continued even despite him not being involved in the Rumble and losing to Bray during the PPV. DB also pinned Orton clean leading up to the Elimination Chamber and was one of the final two people in the chamber match for the title. After interference, DB lost again. Occupy Raw did occur which had fans in the ring supporting Bryan in his request to face HHH at Mania. The match ended up turning into a winner gets included into the main event of the same PPV. This man overcame both odds and finally got his moment at Wrestemania and won the title. Everybody, I mean everybody, was happy for this. It was a well done story as the realism added to it made it something to get you invested emotionally. DB had proven himself to be a main event guy. The sad thing is the beginning of the end. A lackluster Kane feud followed and then the injuries followed. Outside of sporadic appearances during the year, he was largely off camera until his full time return at the end of the year. 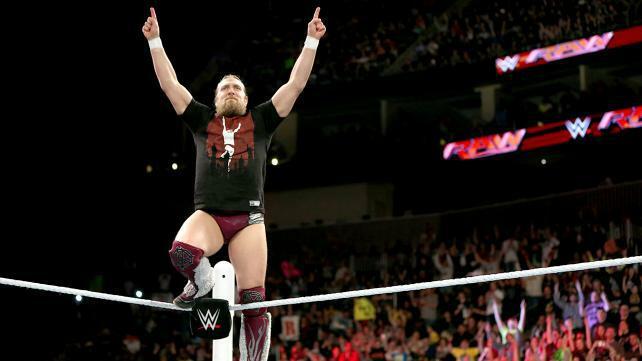 Returning from injury, he again feuded with Kane and The Authority and had entered the Rumble. The dream of going to Wrestlemania died however, as Bray had eliminated him during the Rumble itself, leading towards a toxic environment during the rest of the match. Daniel still tried to be in the title race as he faced Reigns for the opportunity at Mania, but lost in a good match. Afterwards, he was part of the hot potato chase for the IC title, which he won, as well as defeating Ziggler at the night after Mania Raw special. Injuries flared up again and that was the end of Bryan unfortunately, as he would retire in February of this year. Bryan was able to capture the imagination of fans again. He got the machine to change the matches between Orton and Batista (which Batista himself said that he shouldn’t have been a face during that time period) and DB vs Sheamus III, to a wonderful two matches with HHH and Batista/Orton. He was great in ring and connected with others in a very large magnitude. That said, I do give the company credit for not giving him another title shot in 2015 against Brock, as it would have not ended well for him health wise. A misconception about that Royal Rumble match in 2015 was that the crowd still had favorites to choose from in the title and they cheered for a white hot Dolph and Dean Ambrose. Other options made sense over Bryan, though I see where Bryan would have worked also. The thing with Bryan is that so many feuds were never explored with DB on the roster, so many goldmines that the company had, but it couldn’t happen due to injuries. Injuries are not fun. For a man that has accomplished everything that is possible for him to accomplish, his career still has a lot of question and intrigue to it. A lot of what if scenarios existed and it’s a shame that we wouldn’t figure it out. Regardless, his time in WWE saw the birth of a legend, who was already an indie legend.